Everex had the pleasure to be a part of Money20/20, one of the world’s leading FinTech conferences which started with the vision to connect the most inventive and ambitious people shaping the financial world in the payments space — inventing new ways to spend, manage, save, borrow, share and protect money. As a FinTech innovator, it was an amazing opportunity for us to be a part of this vibrant platform to showcase our blockchain e-wallet solution and to introduce the use of the blockchain technology and innovation in the cross-border money transfer and payment space, creating additional visibility and traction. Senior managers and C-levels from banks, multinational financial services corporations, media, and many others stopped by our stand with a curious look of “what is blockchain and how does that actually work”. We were glad to have fed people’s curiosity and convince third parties of the use-case of such a technology in order to innovate the way traditional financial transactions are currently done. Interestingly, there was a good understanding around the concept of blockchain and how the technology can be used to solve real-world problems — with possible partnership announcements in the future. 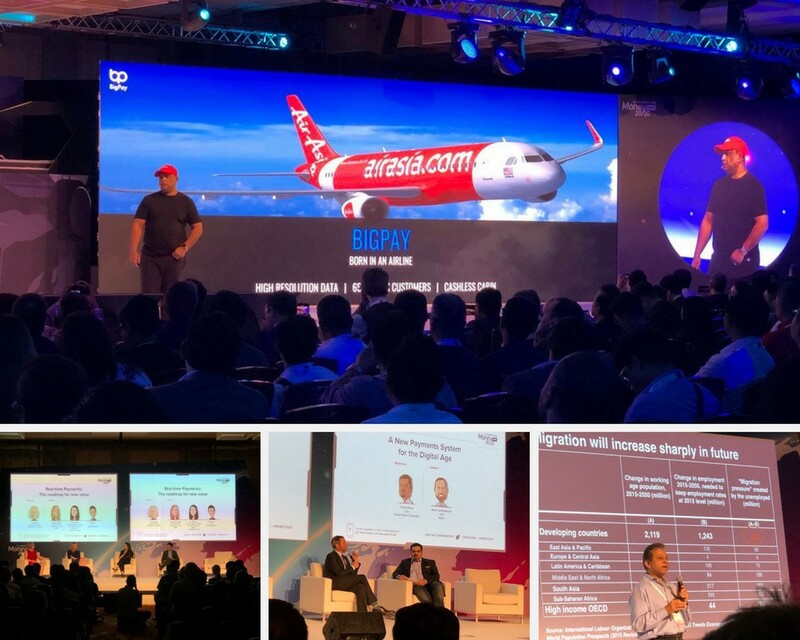 We also attended interesting panel discussions with great speakers such as Tony Fernandes, CEO of AirAsia, Dilip Ratha from The World Bank — Migration and Remittances Manager and Head of Global Knowledge on Migration and Development (KNOMAD) and Ravi Menon, Managing Director at Monetary Authority of Singapore. Interestingly, Ravi Menon, from MAS, gave interesting insights on benefits and threats of cryptocurrencies and stated that token does not qualify as “money” as this needs to meet the 3 criteria : store of value, wide adoption and unit of count. However, the underlying blockchain technology might have a strong potential to bring real-value to the world, which is only a matter of time. In addition, Dilip Ratha from The World Bank stated that remittance costs are still very high. The global average transaction cost is 7.2% with recorded remittances to low and middle income countries amounting to $450 billion in 2017. Hence why we believe the strongest use case of blockchain would be to facilitate cross-border money transfers. Overall discussions between representatives of other major multinational banks like Westpac, HSBC amongst others, arrived at a consensus regarding the need of an innovative financial services platform to increase the efficiency of payments and cross-border transfers. 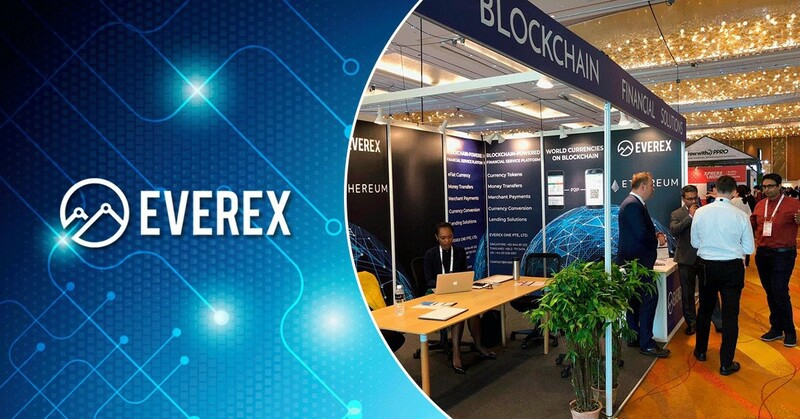 The existing solutions were deemed to be time consuming, expensive and with a clear lack of transparency which is what Everex is trying to solve using the power of blockchain technology. Many community members have been asking what was the use of attending conferences. This is how we approach it. Industry events have been in existence since time immemorial. No matter what industry the business is in, there will always be frequent events where like-minded people congregate to discuss topics / problems and possible solutions that can be accepted in a wider scale. These events play a bigger role in a cryptocurrency or blockchain business because the idea is only as strong as the network/community that believe in it. The development of a strong community is the cornerstone of any business and a physical presence carries an equal importance too. 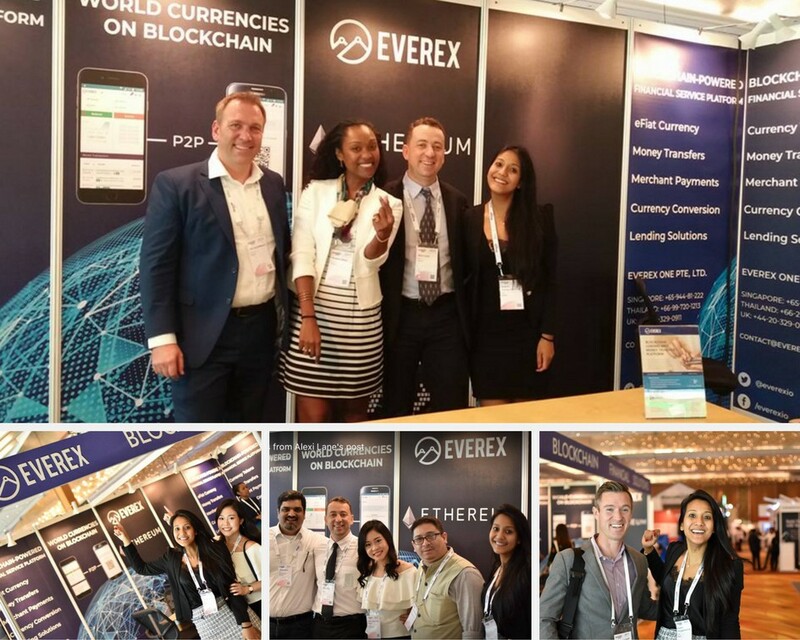 From curious individuals to those who think this is the solution needed to their businesses, we engage with individuals and businesses who are willing to work with Everex to pilot, integrate and use the Everex blockchain solution for their services — a gathering is the next best thing for Everex to meet the right partners and establish a dominant presence in the global financial market. To conclude with: we strongly believe that a “change in culture” is needed in finance to tackle the blockchain technology. This is just a matter of time until the technology is widely accepted. Banks and other financial institutions started recently to look into the blockchain with more interest and within the next few years, we will see more blockchain projects getting implemented. Everex has a functional e-wallet product, which was successfully beta-tested adding value to business needs in terms of payment solutions and cross-border money transfers. We successfully enabled to cut down transaction fees, eliminating the various financial intermediaries present within the traditional financial transaction space. Everex’s e-wallet makes money transfer between peers nearly instant and free. By doing so, we helped migrant workers to send money back home, in a more efficient way and free of cost. We are serving the underserved to have access to a seamless payment solution. We support a global inclusion and this is how we make a difference.